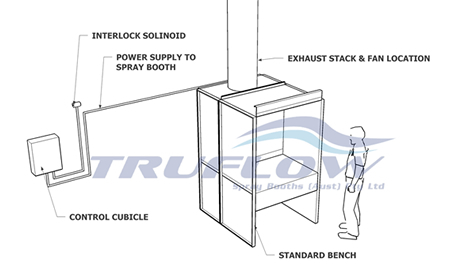 The TRUFLOW Bench-type Spray Booth is a engineered solution to small parts spray painting. 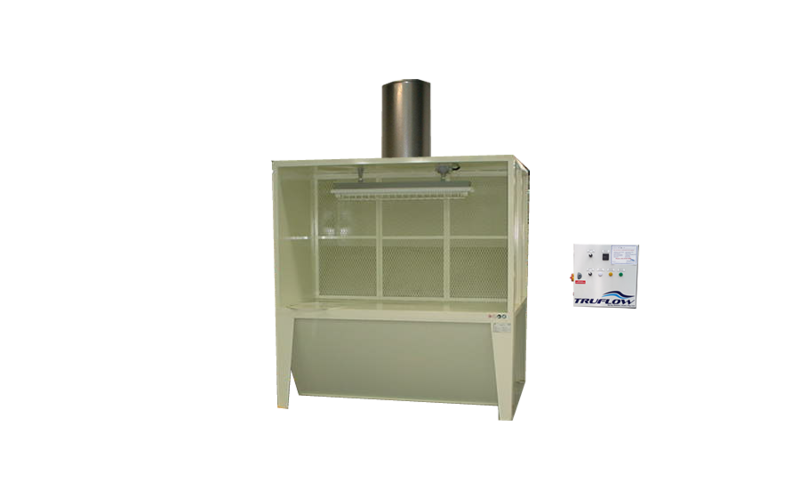 Designed to meet the needs of schools, tafes and universities as well as industry these units provide compliant fume and paint extraction. They can be designed to suit a diverse range of components whilst containing all fume and over spray to a small area of your workshop. Our engineering team is experienced in designating and selecting the right spray booth for the right space and application. 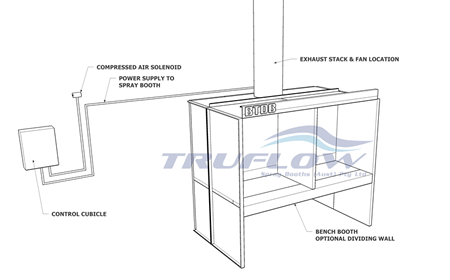 Booths can be designed with compressed air facilities or simply just for pressure pack painting. The hazardous area zoning delineation can be provided by our team and you can be sure that the facility is safe and meets the Australian code of practice. We can help teachers or consultants ensure correct booth selection. Recent installation examples include Monash University, TAFE NSW, Victorian Collage of Arts, Mareeba State High School QLD just to name a few. When painting small parts it is important to consider number of items to be sprayed and operational hours per day. The small parts booth will also need to be evaluated based on the type of paints being used and its level of hazardous fumes. TRUFLOW can provide a simple and cost effective solution to ensure compliance and safety. 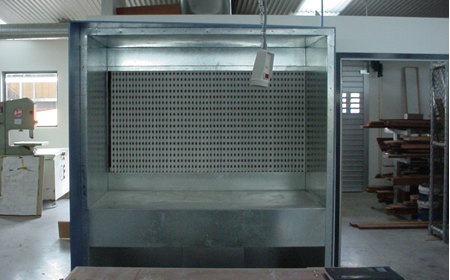 Ideal for small parts and components, this spray booth can be used with pressure pack spray cans or with a full airbrush or compressed air gravity feed spray gun. Fully compliant to Australian Standards it is fitted with Ex’e Motors and EU2 rated dry filters. 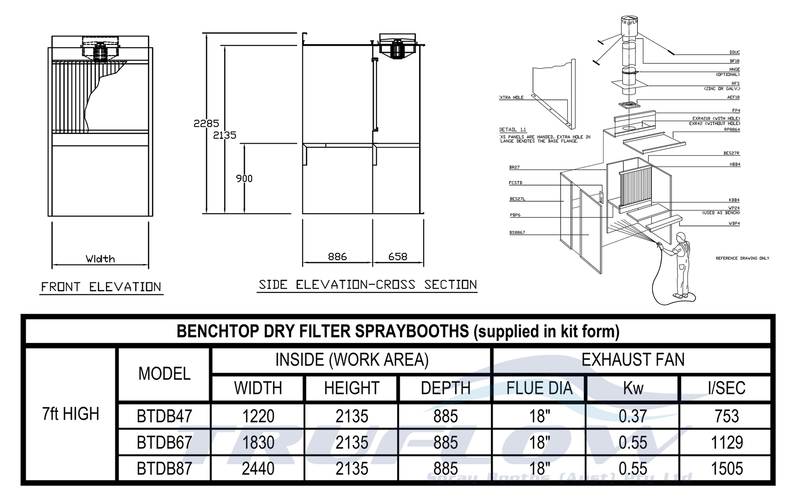 With a number of options including sizes and separation options, the Bench Type Dry Filtration booth can provide up to two operators with the ability to work in a single spray booth. Fill out the attached form to request a quote.